Do not install sensors in damaged wheels. 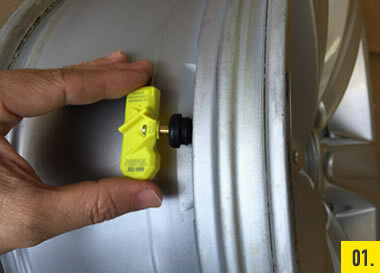 If the TPMS system fails to operate properly, check all installation procedures to ensure proper installation. ORO-TEK is here to assist you troubleshoot any issue you may be having. Please visit our website ORO-TEK.com complete all questions and our tech support will contact you shortly. 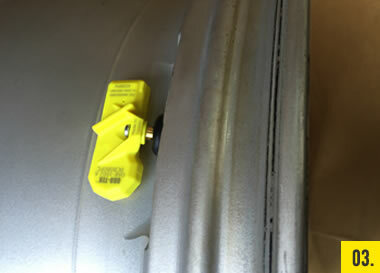 If the OEM equipment wheels or tires are not used, it is the responsibility of the vehicle owner to ensure that the TPMS system is functioning properly. 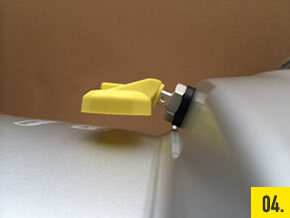 The vehicle owner expressly assumes sole and complete responsibility for the TPMS and vehicle function if the OEM equipment wheels and tires are not used. 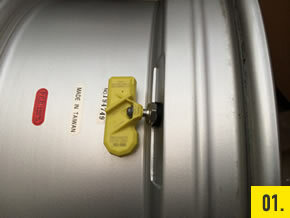 Failure to ensure that the TPMS system is functioning properly may result in severe injury or death. Each time a tire is serviced or dismounted, or if the sensor is removed or replaced, it is MANDATORY to replace the grommet, nut, and valve core to ensure proper sealing. Insert valve stem into the valve hole of the wheel. 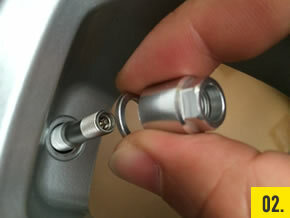 Install washer and hexagonal nut onto valve stem. Use wrench to hold valve stem and keep vertical. 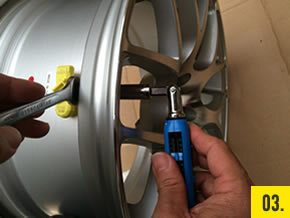 Meanwhile use torque wrench to tighten hexagonal nut with 4.0 N.m. ( 0.2) torque. 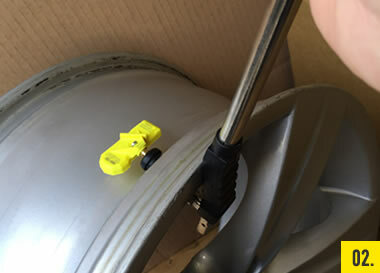 Use valve stem tool, pull the rubber valve stem through until seated.